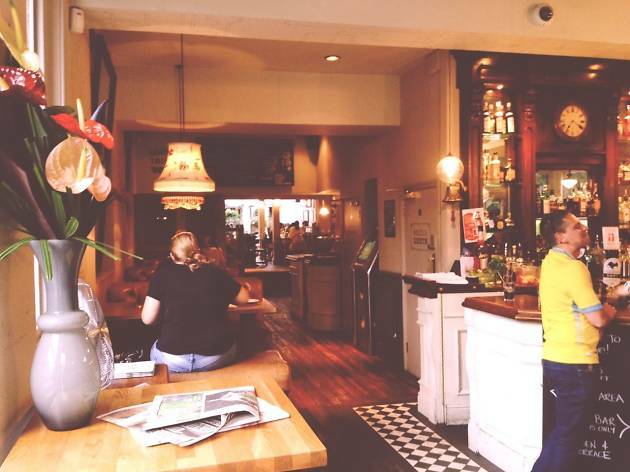 Another perfectly decent pub from the Metropolitan Pub Company, you'll find the Rye serving up satisfying pub food and a good selection of drinks, including some unusual biodynamic wines. 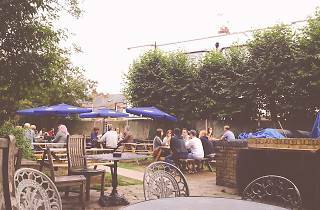 But for locals, the biggest draw is the spacious beer garden, which is a fine place to spend a sunny afternoon with friends. There's even a sandy strip where you can play a game of pétanque. In the winter, sporting events are often shown on a sizable projector screen. Mon-Thu: noon-midnight; Fri-Sat: noon-1am; Sun: noon-11pm. Came in without a booking on Mother's Day and was able to snag a table in the front in the sun. I know they have a huge area out back but we wanted to soak up as much sun as possible and although closer to the road, the tables in front had more sun time. This was good as we were told up front it would be a 45 minute wait for food. Fine. No worries. Decent selection of beers and a good card game kept us occupied for the 45 minutes. I had a nut roast whilst the husband had a beef roast. I never ordered a nut roast before, so not really sure what they are supposed to tasted like. It was full of macadamia nuts and lentils and was served with a generous portion of vegetables and covered in like a butternut squash sauce in lieu of gravy. I ordered a Yorkie for an extra £1 (worth it). I was pretty happy with my dish, every tasted pretty fab. The roast beef also tasted spot on and was amazing with a bit of horseradish. Good portions size ensured we could not fit a dessert in. Highly recommend if you have dogs, kids, large groups, or just finished a walk around Peckham Rye park. It ticks all the boxes. 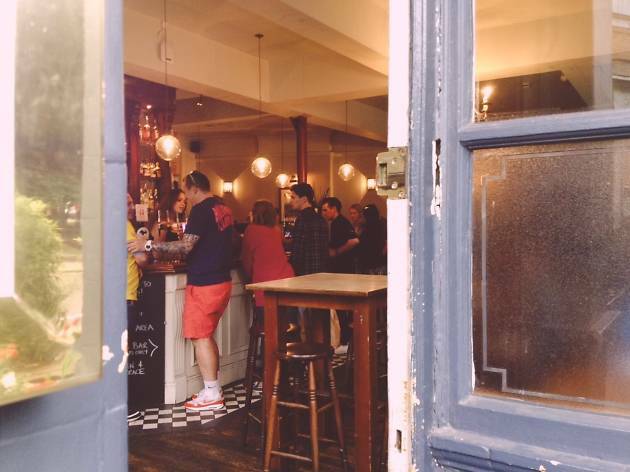 Boasting one of the bigger beer gardens in South East London, The Rye has a certain degree of pulling power over the summer months. 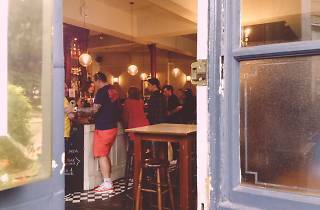 Go during ‘sport season’ and you’ll likely find the pub packed with men staring at the side wall. 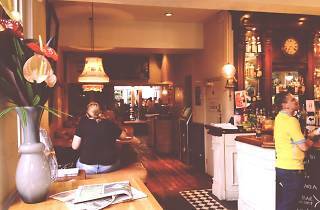 Overall, the Rye is a solid choice offering good pub grub, a decent selection of beers, and boardgames to boot. Great pub overall !!! Food , beer , ales and wine !!! Would recommend to anybody !! !the Beer garden is a place to be during the summer !!! Will happily return!!! 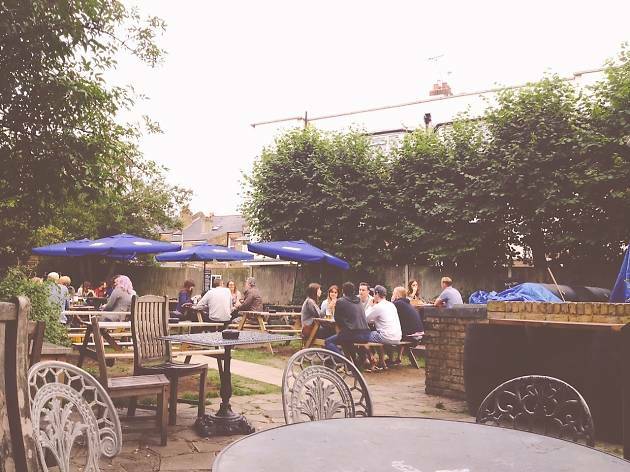 Not the best pub on the Peckham map but there are a few really good reasons to go: large garden with outdoor heaters for the winter/nightime. As its further up the Rye its often quieter here even at the weekends and you'll never really have to stand with your drink- basically nothing worse in my book. I also love their fried chicken, and in general the food here is good and served quickly. Often they have food and drink deals- bottle of red and two steak dinners for £30 etc, which is good for a cheaper night out during the week. tower of meat and enormous golden Yorkshire pudding looked amazing, sadly we were disappointed. The dry pork was concealing a pitiful amount of cabbage and two burnt carrots. My boyfriend ordered the roast beef, which was also very dry and chewy, although he did have a few florets of cauliflower and peas thrown in. I did complain and was given addition cabbage, to gain a variety my boyfriend and I had to share our vegetables. On plus side, Yorkshire puddings are good. The roasts are not worth £13, I'd stick to their burgers.